They are from Southern Canada through the U.S. west to the Rocky Mountains, south through the deserts of the Southwest to South America. Also in California and Arizona. They live in sunny, open places, along roads and rivers, on rocky hillsides near streams and in citrus groves in the south. 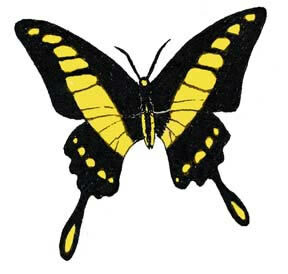 They are mostly black with 2 bands of yellow spots. 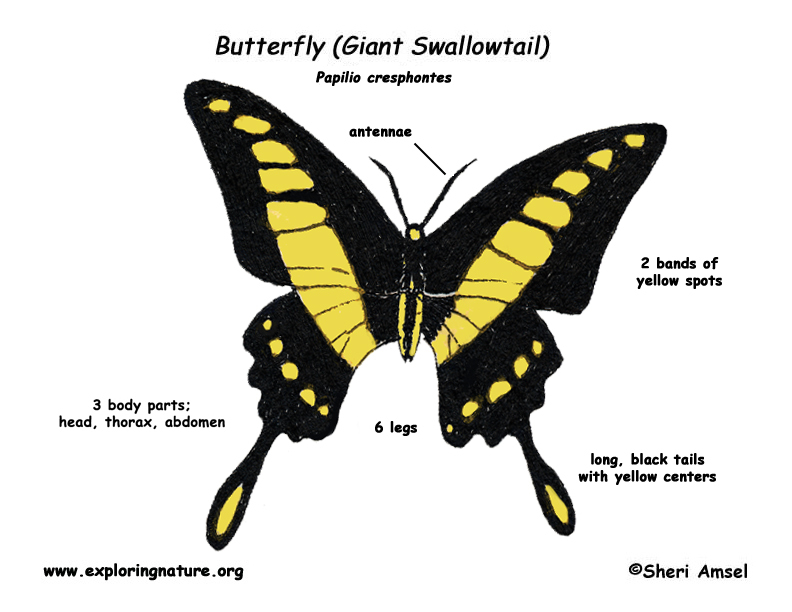 They are considered the largest butterfly in the U.S. at 4 - 5 1/2 inches wide. They have long black tails with a yellow center. They can fly a very long way. The caterpillars eat citrus trees. Female lays a single egg on a citrus leaf. Caterpillars look like bird poop.